Hosted by Brown’s Gymnastics in Las Vegas, the Lady Luck Invitational is a highly competitive meet set in a lively environment, and it always brings tons of gyms from around the country. Hosted this year from Jan. 16 - 21, 2019, fans can watch levels 9 and 10/Open (Elite) live on FloGymnastics. An gymnast from host gym Brown's, Sienna Robinson will be making her 2019 debut at Lady Luck. An exciting all-around gymnast, Robinson is a trickster and is capable of some pretty incredible skills. Definitely watch for her on beam, where she's shown a back handspring, back handspring, two foot layout full series. Robinson competed at the elite level in 2017, finishing her season at the P&G Championships. Robinson was out for most of the 2018 season but competed bars at last year' Lady Luck where she posted a 9.6. This future Utah State gymnast placed second all-around at the 2018 Lady Luck Invitational, making her a crowd favorite for this year’s competition. In addition to the 36.275 that got her the silver all-around spot last year, she placed first on beam with a 9.400 and third on bars and floor with a 9.050 and a 9.175, respectively. Brooks continued her 2018 season by taking second all-around at the Long Beach Open and Vegas Cup and first all-around at the Brestyans Las Vegas Invitational and the Cactus Cooler Invitational before qualifying to State. At the 2018 Nevada State Championships, Brooks scored second all-around with a 37.275, as well as first on bars (9.550) and beam (9.200). At the 2018 Region 1 Championships, she took second on bars with a 9.550 and qualified to JO Nationals, where she performed well and ended her 2018 season on a high note. Now in 2019, gymnastics fans cannot wait to watch her perform and see what upgrades she has in store! This sophomore from American Kids Sports Center is ready to take the stage again after competing in the Lady Luck Invitational in 2018. Last year was Abraham’s first season as a level 10 gymnast, and in her second season she is more experienced than ever before. Last year at the Lady Luck Invitational, Abraham took fourth all-around with a 37.775, first on floor with a 9.475, and, most impressively, took home first place on vault with a beautiful vault, scoring a 9.800. She competed in other meets in 2018 such as the Manhattan Classic, American Team Cup and the Long Beach Open. Abraham ended her season at the 2018 SoCal State Championships, but she was only able to compete on bars. This season, she is back and ready to compete at the 2019 Lady Luck Invitational, and spectators should keep an eye out for this young competitor. Ford has competed at the Lady Luck Invitational every year since 2014, and it looks as if the 2019 competition may be her best yet. A level 10 since 2015, she has steadily gained confidence and upgrades every year. In 2015, Ford placed first on bars at Lady Luck, scoring a 9.400. At the same meet a year later, she took third on vault, receiving a 9.175. In 2017 and 2018 she placed first on floor, and followers of the sport are ready to see if she can hit floor three years in a row! She competed a few other meets in 2018, taking first all-around with a 36.200 at the Ah! 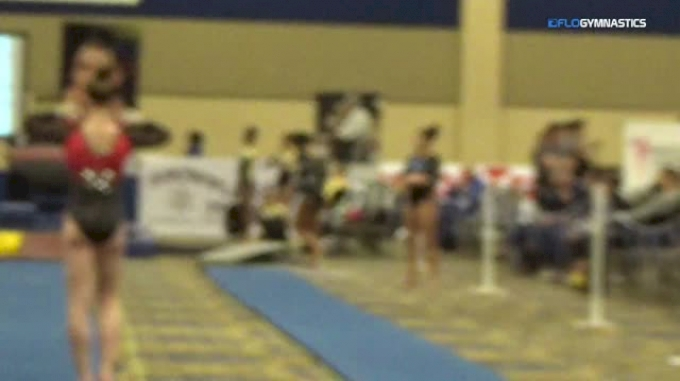 Meet as well as first on bars and beam, second on floor and third on vault. She also placed third on bars at the Sun Devil Classic, third on vault and fourth all-around at the Brestyans Las Vegas Invitational and tied for first on vault at the SCEGA California Classic. Wakita placed second in her age group at the 2018 Lady Luck Invitational, scoring a 35.550. She then continued her season at the Cactus Cooler Invitational, placing fifth on vault and bars, and taking fifth all-around in the SCEGA California Classic, scoring a 35.175. Wakita also competed at the Long Beach Open, taking first all-around with a 36.875, second on bars (9.025) and beam (9.450) and third on vault (9.275) and floor (9.125). 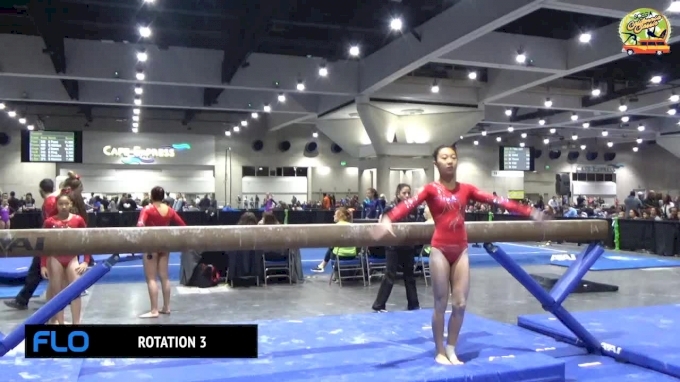 At the SoCal State Championships, Wakita placed sixth on beam with a 9.450. This coming season will be her second year as a level 10 gymnast, and supporters are ready to see her come back for another season with some experience under her belt. Don't forget to catch the action live on FloGymnastics!